Do you ever wonder why your enjoyable experiences are so enjoyable when you frequent your favorite sites? It all comes down to user experience (UX) and user experience design. And at Pagezii, we strive for great UX. We also know how tough it is to achieve that. But the road to great UX starts with the basics. 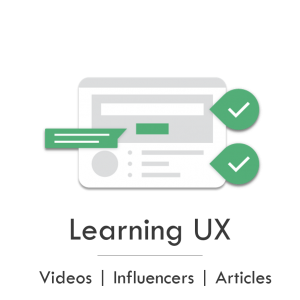 So we’ve amassed the best UX videos, articles and influencers from around the web to get you on the fast-track to becoming an expert on all things UX related. Ahmed Samir, UX and Graphic Design Team Leader at Esri Northeast Africa created this short animation explaining what UX is and why it’s important. If you’re short on time, this is the video for you. We can’t explore the topic of UX without exploring the topic of UX Design. What is UX Design you ask? Watch this informative sped up whiteboard drawing to find out what it is and why it’s so important. Still need convincing on why UX is important? Susan Weinschenk, Chief of UX Strategy at Americas at Human Factors International shares the financial implications of a poor user experience. This simple definition of what UX is by one of the de facto experts in the field is a must read. It’s short, to the point, and provides plenty of information to get you started in learning all about UX. We can’t talk about user experience without talking about user experience design. And in Spencer’s post, 15 expert contributors share insider information, but also to expose you to 15 extra influencers to follow on the subject of UX design. David Bailey-Lauring’s contribution to Medium.com gives you a clear definition of UX and UI design, but also what it takes to pursue a career in either field. If you’re going to follow anyone from this list, make that follow Don Norman. Featured earlier in this post for his simple definition of UX, Don Norman has a ton of publications, teaches at a number of universities, and has held executive positions at Apple and HP. All due to his expertise in UX and UI design. As the Lead User Experience Researcher at Google, a UX writer, and speaker at Stanford University, Catalina is another great follow to stay up to speed with all things UX related. She’s active on Twitter highlighting UX of companies in the Silicon Valley. Julie’s weekly contribution to Medium, A Year Through The Looking Glass, answers questions received from her audience about all things UX and design. As someone who has worked over a decade at Facebook, and is the current VP, Product Design, Julie is a super informative and knowledgeable source to follow. Our list of resources here is just the beginning of the rabbit hole to learning about UX. It’s an easy concept to understand, but a difficult one to master. But now you’re on the right track by diving into the resources in this post. Be sure to check back in a few days for our monthly news roundup for all things digital marketing!